In your search for the best herbs for weight loss online and in magazines, you may have come across a plant by the name of garcinia cambogia, which is becoming increasingly popular as a fat-burning super fruit. This tropical herb is a common ingredient in many diet pills and weight loss supplements. But what exactly is garcinia cambogia? How does it work? Will it actually help me lose weight? This article discusses how garcinia works to suppress body fat build and regulate your metabolism, garcinia cambogia's active ingredient, and where to find it on the market. Garcinia Cambogia is a dropping evergreen tree native to India and Southeast Asia. 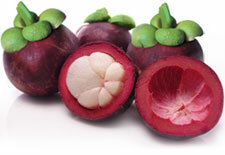 The Cambogia belongs to the mangosteen family (genus Garcinia). This particular mangosteen tree is known for its distinctive, mustard yellow fruit, which closely resembles a squash or pumpkin in shape (see picture above). There are various types of mangosteen fruits aside from garcinia cambogia, including the button mangosteen, lemon drop mangosteen and purple mangosteen (pictured right). Also known as Brindle berries, Gamboge, or Malabar Tamarinds, these mangosteen fruits are a dietary staple for anyone interested in losing weight fast. The garcinia rind, or exocarp, is commonly ground up and consumed due to efficiency as a natural appetite suppressant. The active ingredient in the garcinia's rind is hydroxycitric acid (HCA), which regulates lipid metabolism, thereby suppressing body fat accumulation. Like orange peel extract, the rind of garcinia cambogia stimulates fat oxidation for safe, healthy weight loss. Because garcinia cambogia extract is a safe and natural alternative to ephedra, but produces the same rapid weight loss effects, this fruit has become an increasingly popular ingredient in over-the-counter diet pills. 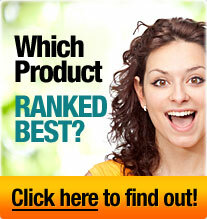 For more information on diet supplements that contain garcinia cambogia, read our diet pill reviews now!